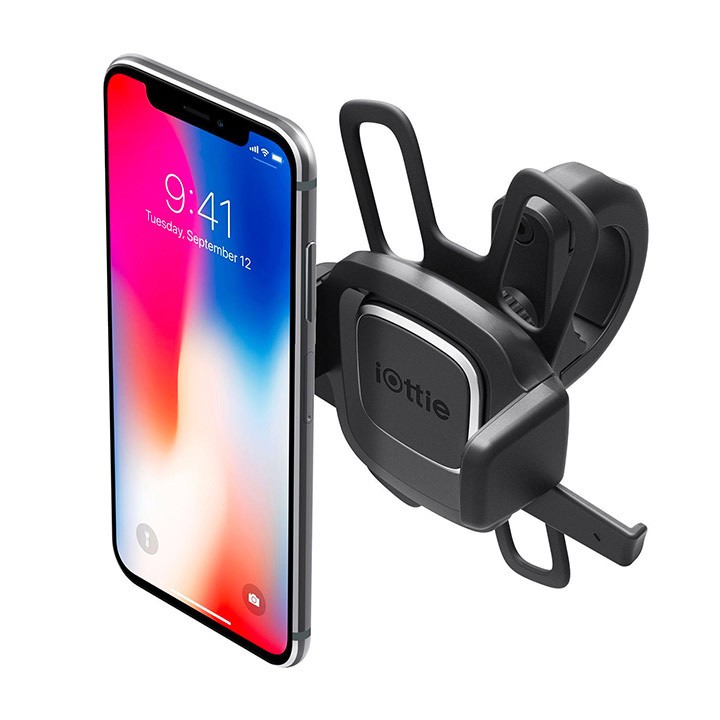 The iOttie Easy One Touch 4 phone holder for bike is designed to secure your device safely to enhance your riding experience. 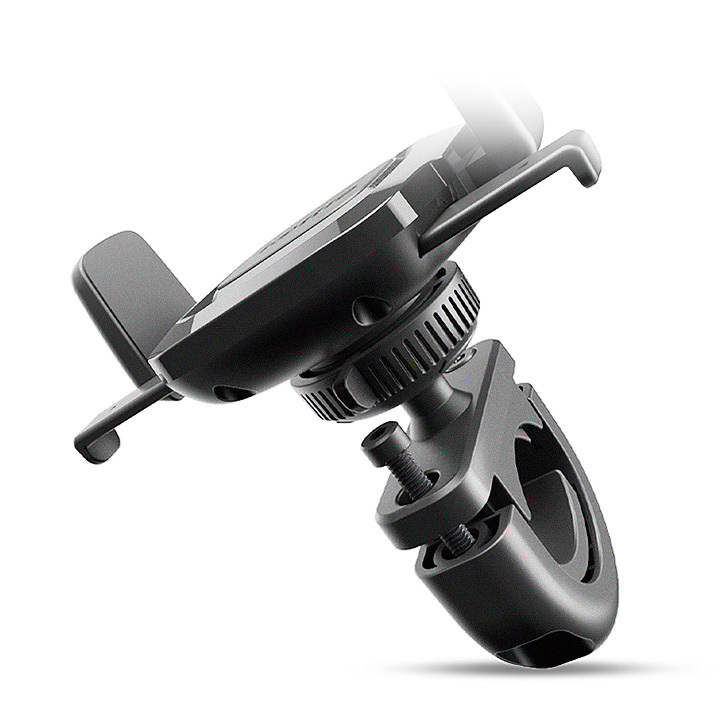 Featuring a universal design, the phone mount is compatible with motorcycles and bicycles with handlebars or bike stems ranging from 20-34mm in diameter. Get to your next destination safely with the patented Easy One Touch mechanism that allows you to mount and remove your phone with one hand for added convenience on the go. A flexible Safety Strap grips smartphones tightly to provide extra protection on bumpy roads or uneven terrains. 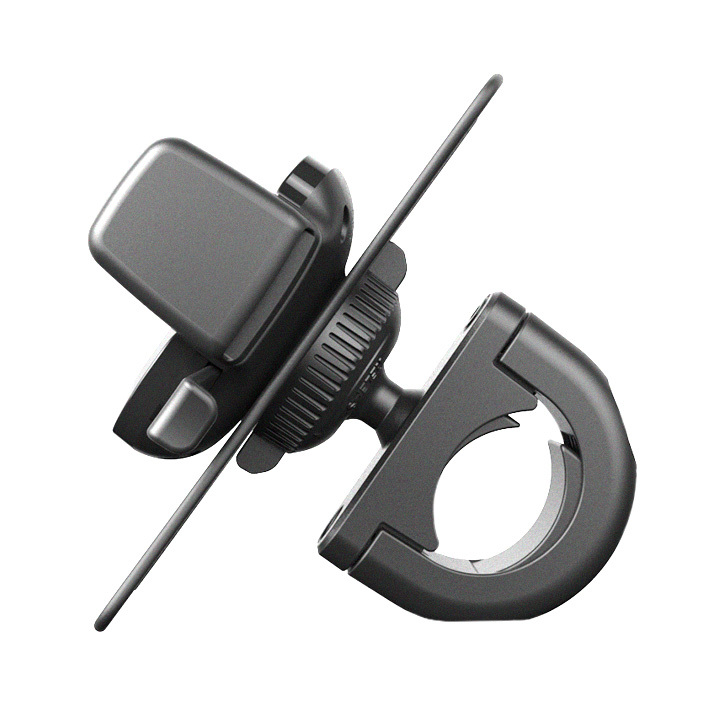 Easily adjust the phone mount on handlebars with a ball joint that elevates and tilts your smartphone for better viewing angles in different riding and cycling conditions The Easy One Touch 4 phone holder for bikes is universally compatible with all smartphones and cases to secure your device while you ride. 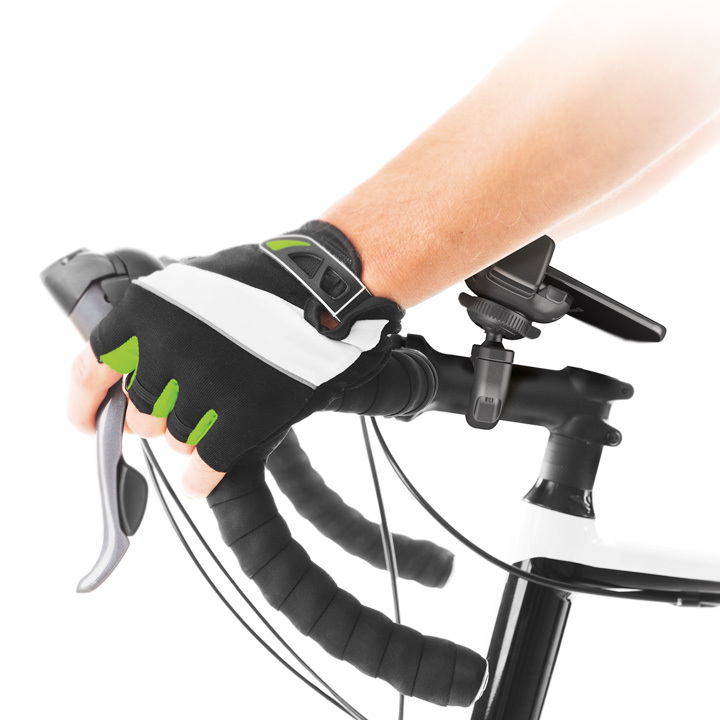 The patented Easy One Touch feature gives you the freedom to mount or remove your smartphone on your bike in seconds. 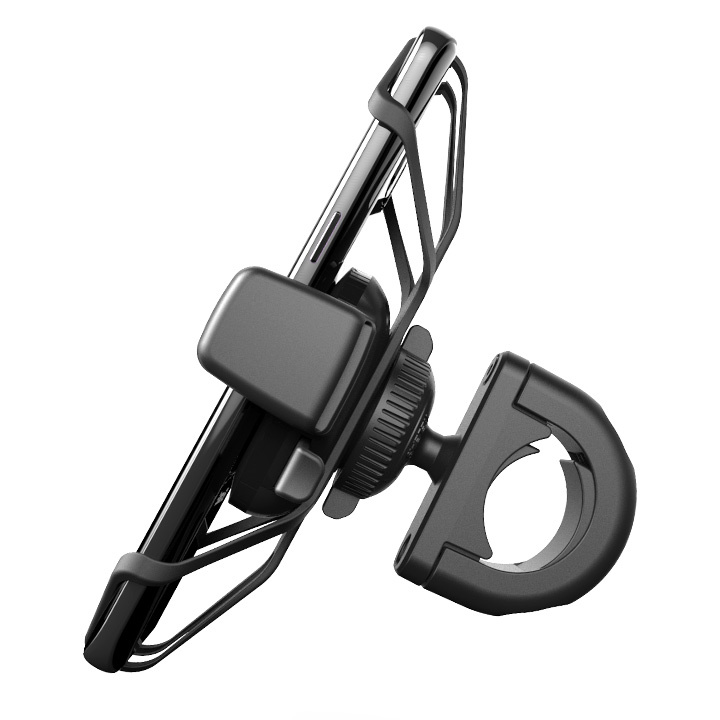 The Easy One Touch 4 phone holder for bike stems or handlebars installs on bars 20-34mm in diameter. Flexible Safety Strap securely holds smartphones onto bike mount while you ride. 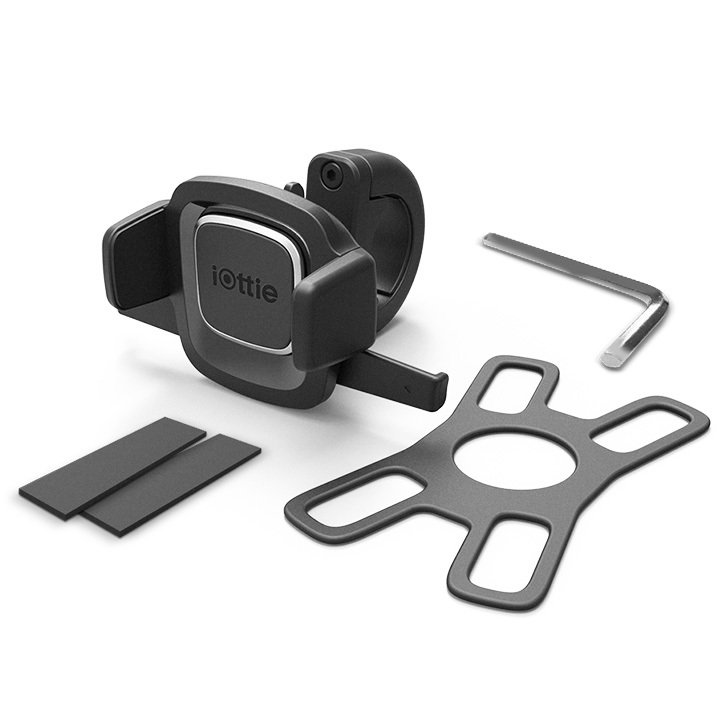 iOttie recommends to always use Safety Strap when mounting your smartphone. The Easy One Touch 4 bike mount holds all smartphones and cases between 2.3" - 3.5”.